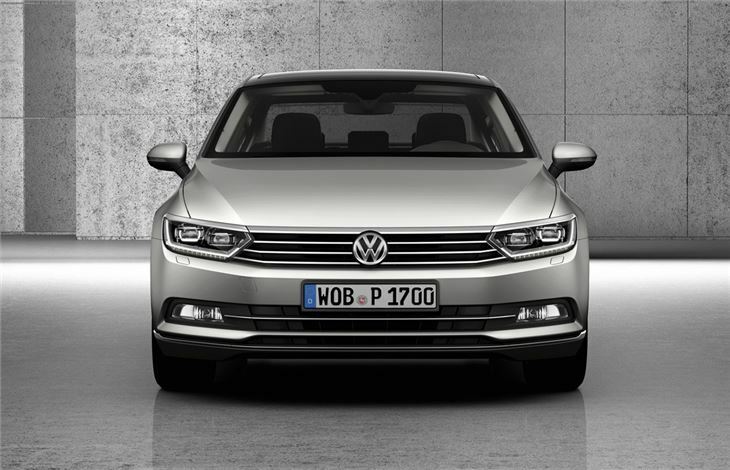 Volkswagen has unveiled the all-new Passat which will arrive in the UK in early 2015. 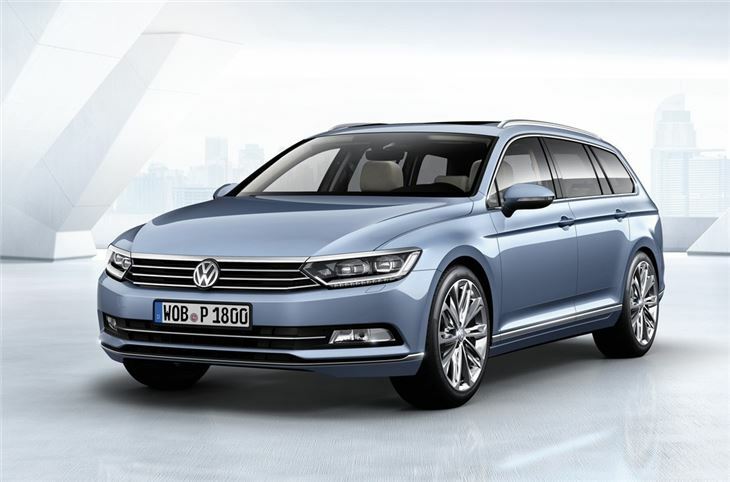 Lighter than the current Passat, the eighth generation model will be more economical and for the first time a plug-in hybrid Passat will be available. 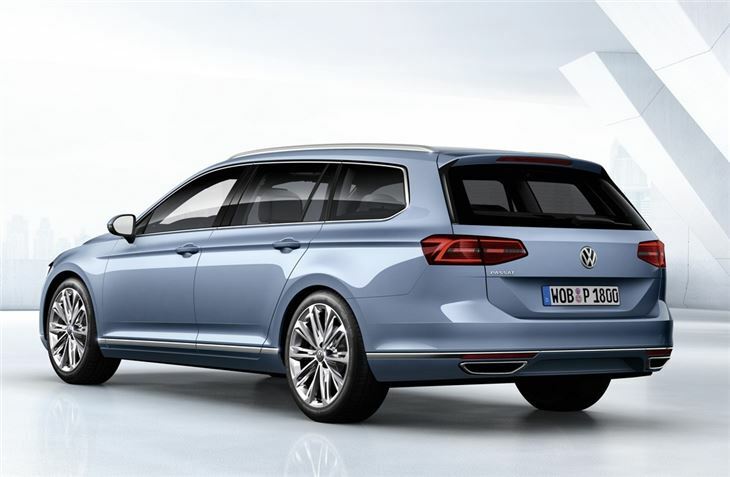 The new Passat is actually slightly shorter than the model it replaces but has a longer wheelbase which means improvements in interior space with more legroom and head room along with a bigger boot for both the saloon and estate. 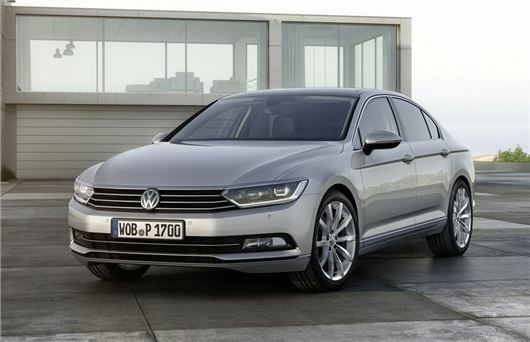 The styling is an evolution of the current Passat with design cues taken from the Volkswagen CC and the Phaeton to give it a wider stance and a more aggresive front end. All models come with LED rear lights while top models get a different rear light design with horizontal lines that switch to a vertical brake light. 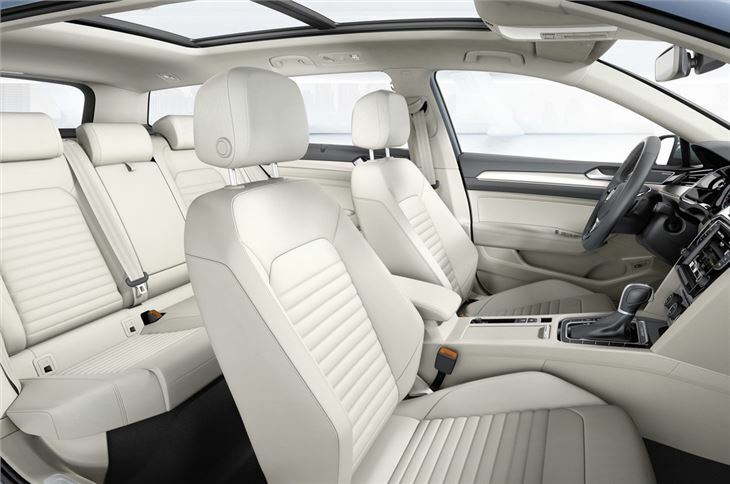 Volkswagen says the interior has been designed to give the Passat a sophisticated feel with plenty of technology features including an optional Active Info Display which replaces the instrument cluster with a configurable 12.3-inch TFT display. Other features include a head-up display and the latest generation Park Assist which adds the option for the car to park itself forwards into perpendicular spaces such as supermarket parking spaces. For caravans owners one useful extra is the Trailer Assist system, which gives assistance when reversing a vehicle with a trailer attached – without the need for any modification or adaptation of the trailer. The engine range will feature improved versions of the TDI diesels and TSI engines in the current Passat. One new addition will be a 2.0 BiTDI with 240PS and an impressve 500Nm of torque. It will come exclusively with a new seven-speed DSG automatic gearbox and 4Motion four-wheel drive. Alongside this will be a Passat plug-in hybrid which can cover 31 miles on battery power with a maximum range of around 600 miles.